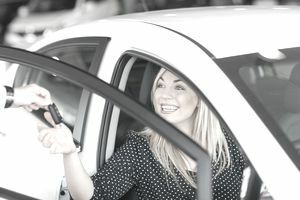 If you would like the chance to upgrade your car, Ford Motor Company's 2018 Ford Vehicle Sweepstakes gives you a chance to do it for free. Enter and you could win a voucher for a new 2018 or 2019 Ford vehicle of your choice worth up to $30,000. This sweepstakes has expired. To be eligible to win, you must have a driver's license. Alternate entry in person at select Ford Events. See the rules for details. You can only enter once regardless of the entry method you choose. Note that you can choose a vehicle worth over $30,000, but you'll be responsible for the difference in price. If you choose a vehicle worth less than $30,000, the difference will not be awarded.